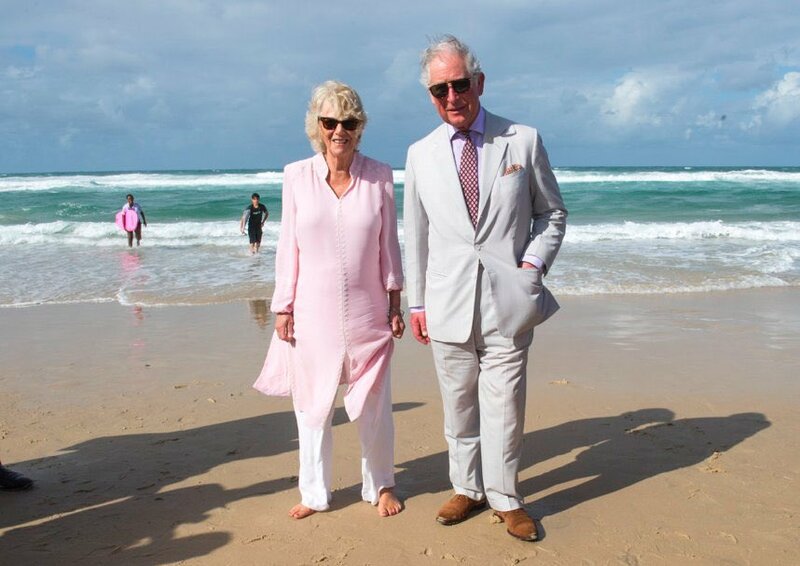 Prince Charles and Camila demonstrate they are real people by walking onto the sand at Surfer's Paradise beach. She is barefoot- he wears suede shoes which many are complaining about. We have no view either way. Others claim the Duchess of Cornwall read a magazine during the opening ceremony. Whispers is reliably informed she was actually reading the program for the Commonwealth Games opening night gala events. Perhaps she was trying to check what time the misery would end.